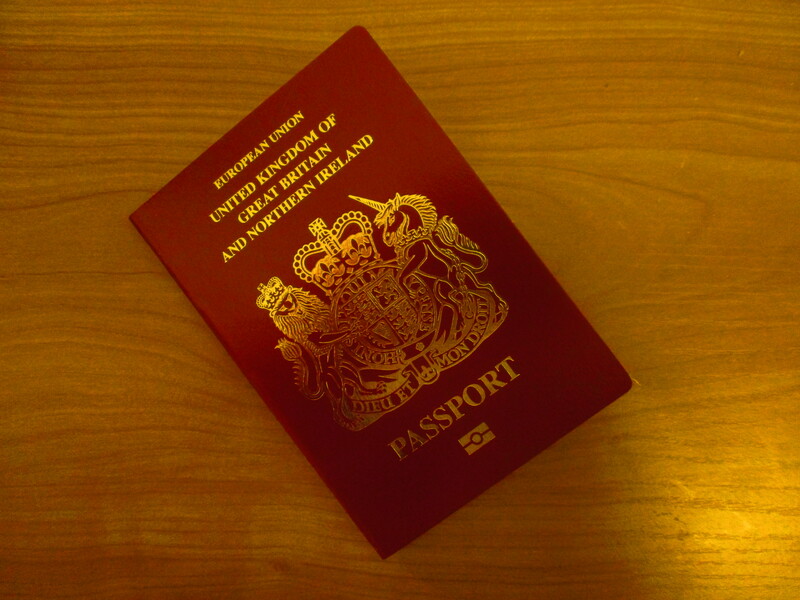 There are a few options available when you want to renew a UK passport. The most expensive option is to pay £137 and you have to make the application in person at the passport office, but you get a new 48-page passport within 4 hours of your application being accepted. I have signed a tenancy agreement that states I must continue to rent the room I am presently living in for a least one month, so I did not see any point in paying extra money for a fast passport renewal. I applied for a 38-page passport and used the Post Office’s Check and Send service. I paid £82.25. The lady in the Post Office checked my passport application form and photos on Friday afternoon and sent them to the passport office by registered post. The process normally takes three weeks to a month, but my new passport arrived today. I was shocked to say the least. My new passport came faster than if I’d payed £103 to use the one-week Fast Track service. Now I have my passport I’m ready to go. All I need to do is honour my tenancy agreement and wait until the end of the month. Having said that, I may stay a little longer because I haven’t visited the dentist in a long time and it makes sense to get my teeth checked out here in the UK. I have a National Health dentist; so if I need any fillings renewing it won’t break the bank.